Beveridges Flower Shop, Consett has been owned by the Beveridge family since it's founding in 1920. As one of Derwentsides leading florists, we are committed to providing the highest standards of quality and service. 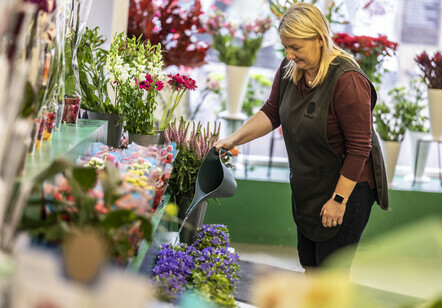 Whatever the occasion customers can be assured that our dedicated florists, with their wealth of experience, will be able to provide the perfect floral solution. We also provide a comprehensive range of additional products including; champagne, wine, chocolates, balloons, cards and glassware. 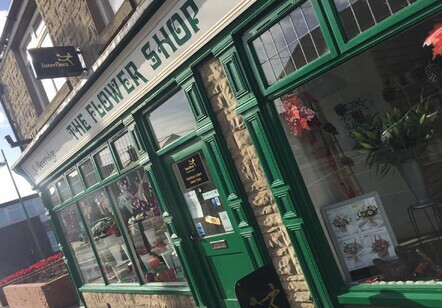 Beveridges Flower Shop, Consett is the largest supplier of flowers in Derwentside. Our team of florists deliver six days a week all around the Consett and Derwentside area. With a wealth of knowledge of all types of floristry we can make up any type of a vase, hand tied, florist choice bouquet, modern or traditional, or just something quite out of the ordinary, whenever a circumstance may demand it. Our local flower and gift delivery service covers Consett, Leadgate, Delves Lane, Castleside, Medomsley, Ebchester, Shotley Bridge, Blackhill, Bridgehill, Moorside, The Grove, Lanchester, The Dene and the rest of Derwentside including some nearby villages in Northumberland. FREE Local Delivery on orders over £45! Same day local delivery is possible if placed before 3:00 pm. As an Interflora Florist we can also arrange deliveries on selected Interflora products outside the Consett and Derwentside area. Just look out for the Interflora symbol. Same day delivery is possible on local and national orders (via Interflora) placed before 3pm.